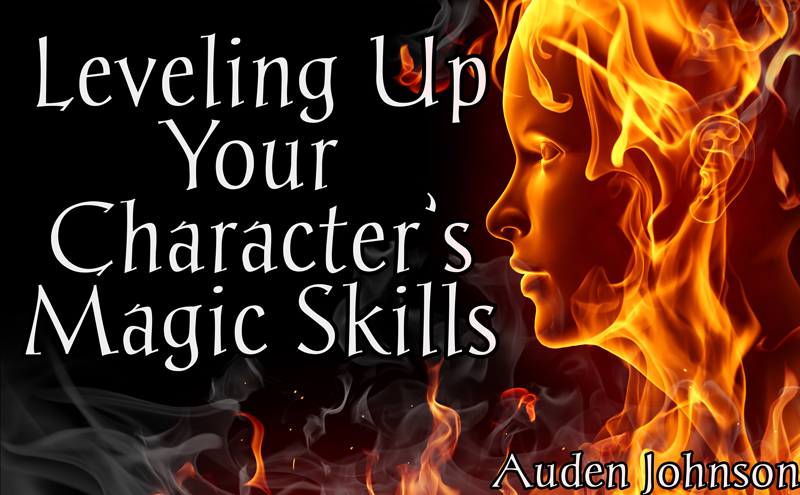 In Part 1, we covered the different ways your character's power can grow. Let's dive deeper into that. What does leveling up look like. It's the same as trying to figure out what your child character will be like when they're an adult later in the book or series. So many factors contribute to the growth. It's different for every character, every book. We'll use one of my characters from Chains of the Sciell. Most have explosive powers. Blea Carlton's abilities are quieter. The power in my Merging World series is energy from Darkness. The characters pull the energy inside themselves and use their bodies to change it into something else. The power sharpens all five senses. Blae favors creating tennis ball sized energy bombs. His real gift is his power of observation and his strategic mind, which he inherited from his father. He's an excellent judge of character. Nothing escapes his senses. Blae has a devious side which people tend to forget about because he's so mild-tempered. He enjoys emotionally strangling people with their own weakness. Let's put him in a scenario mentioned in Part 1. The Boss Battle. Blae's fighting a powerful opponent. He's throwing bombs. They're having no effect. What now? He loses, he dies. bombs mean using more energy. He'd run out of power faster. Blae never goes for the nuclear option. It's not his personality. By now, he's been battling long enough to know the enemy's fighting style and the battlefield's layout. The enemy is powerful, yet slow. Blae's amazing at dodging attacks and taunting his opponents to make them angry and stupid. Instead of attacking head on, Blae places a bomb trap around the cavern and pushes the enemy into it. He varies the depth of each bomb to throw off the enemy's footing. His trap could either drop his opponent down some deep hole or crush them under a pile of rocks. His power plus his sharp mind lets him know of any hidden chambers. This battle would've turned out differently if Blae was fighting a rock monster. Another character in the same situation would've gone for using more power. It might've worked for them. It's similar to voice. How each character reacts to the same thing will be different. 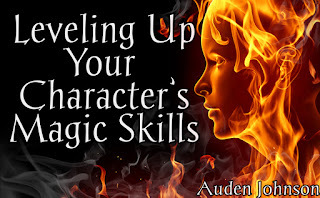 Now, say you want to evolve your magic system, which would lead to your characters leveling up. In my series, the power evolved between Books 1 and 2 to protect the users from an increasingly dangerous world. The characters can now see a person's aura. If they study auras, they'll know when someone or something means them harm. The world becomes so much worse between Books 3 and 4. Logically, the power would change again. The Problem: Darkness has taken over the world. It feeds on negative emotion and traumatic past experiences. It makes people relive the worst days of their lives. The Current Situation: People with powers have a "natural" defense against outside manipulation, but Books 2 and 3 show the defense can be broken far too easily. Option 1: The power transforms the physical body to make it more suited to live in this new world (It's done that before). 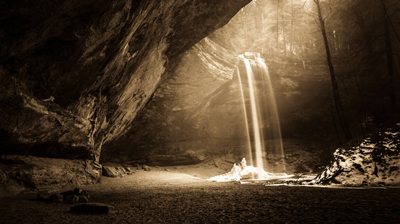 Option 2: Most people with power have a core, an untouchable light within. This core could grow stronger to fight the Darkness. What about those without a core? Option 3: The power is alive inside the body. It can taste this dangerous Darkness and strengthen the person's defenses against it. And we have a winner!! Amazing how complicated and fascinating magic systems are! If you have problem in your world building you can't solve, consider turning it into a blog post. It forces me to face the problem and look at it objectively. You'll be helping someone else. Share a character or magic system you leveled up!